Lake Lucerne is the 4th largest lake in Switzerland and has complicated shape that curves into the mountains and the city of Lucerne. 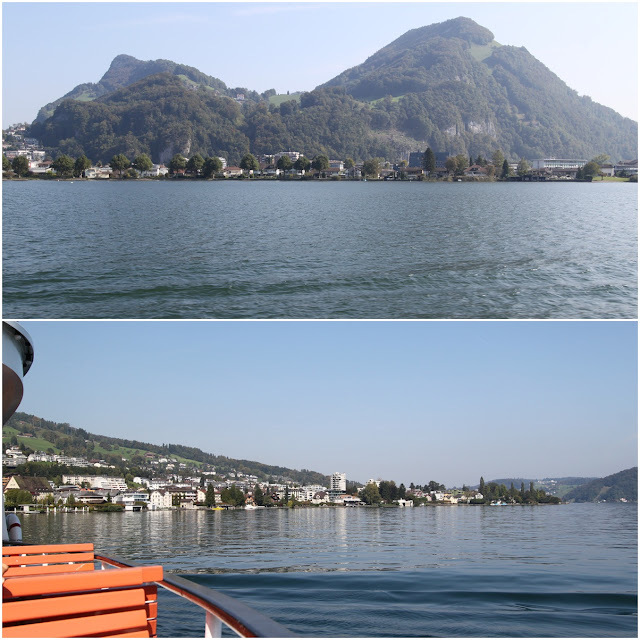 The lake and shoreline have many stunning views, especially of Mount Rigi and Mount Pilatus. 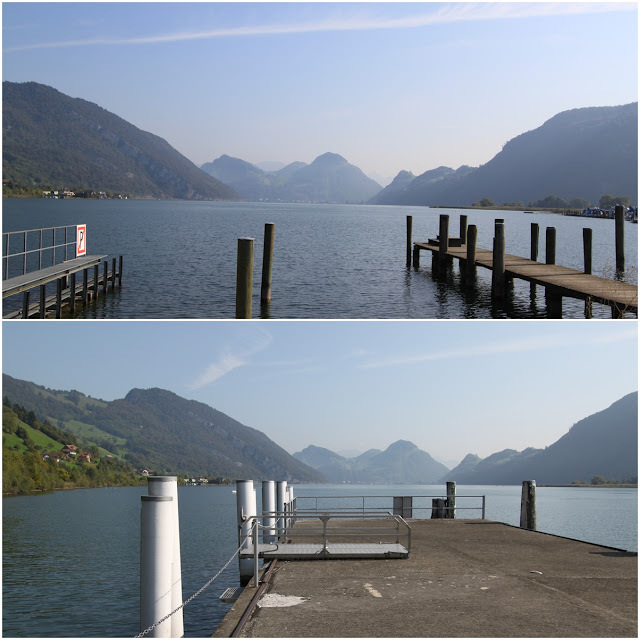 Lake Lucerne is a popular tourist destination, both for tourists and the locals along the total area of 114 square kilometers (44 square miles). 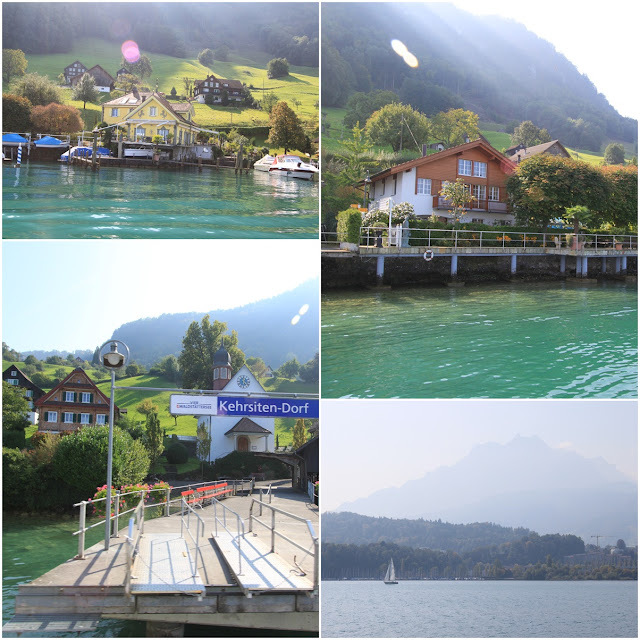 In my previous post, Mount Pilatus Tour at Lucerne, Switzerland, I shared some photographs of my trip to Mount Pilatus and also mentioned about my ferry cruise from Mount Pilatus to Lucerne town in Lucerne, Switzerland. Since I exited from Alpnachstad station, where I got off from Locher cogwheel train ride, at Mount Pilatus. I decided to try taking a cruise on the ferry transportation, which is very reliable and accessible to Lucerne town and every dock along the Lake Lucerne. 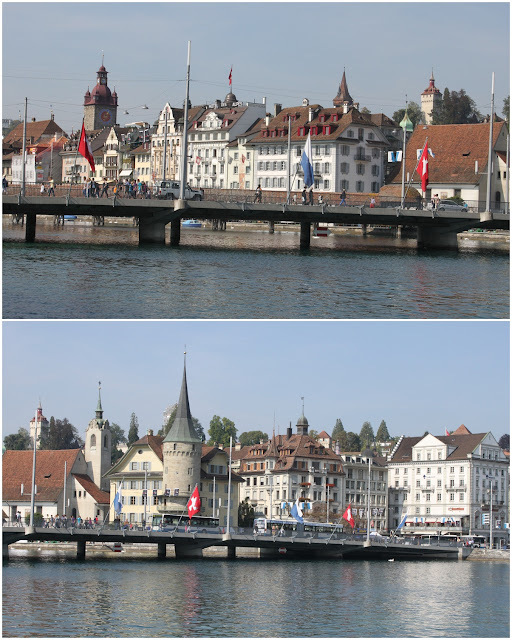 Many of the locals are still preferably living along the Lake Lucerne, which is situated quite a distance from Lucerne downtown. 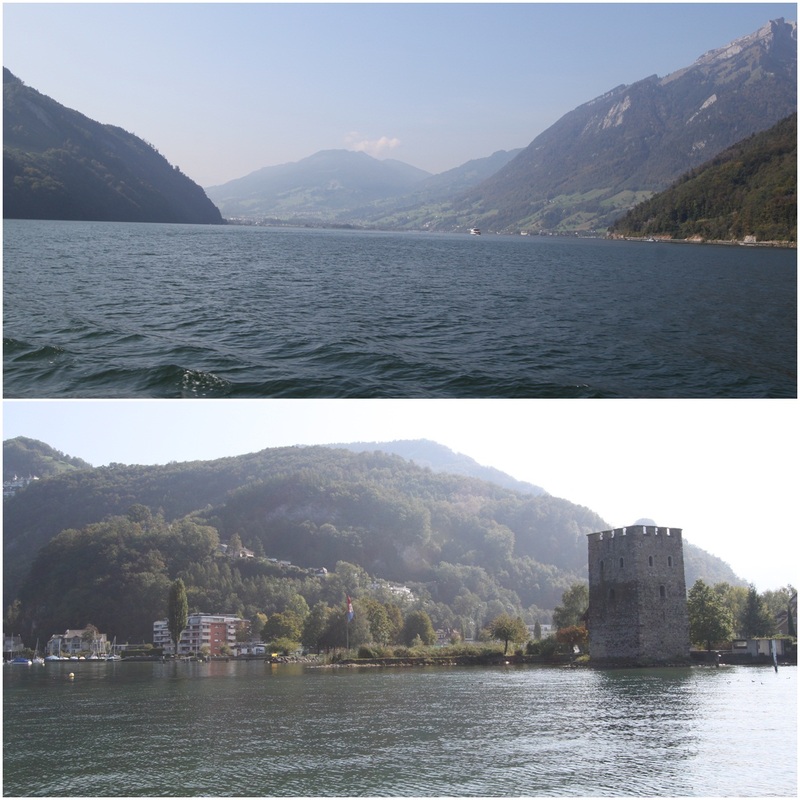 It took about an hour to cruise from Mount Pilatus to Lucerne downtown but then, I really had a good time enjoying beautiful scenery along Lake Lucerne, which is covered by green and misty mountains with clean lake and blue sky. 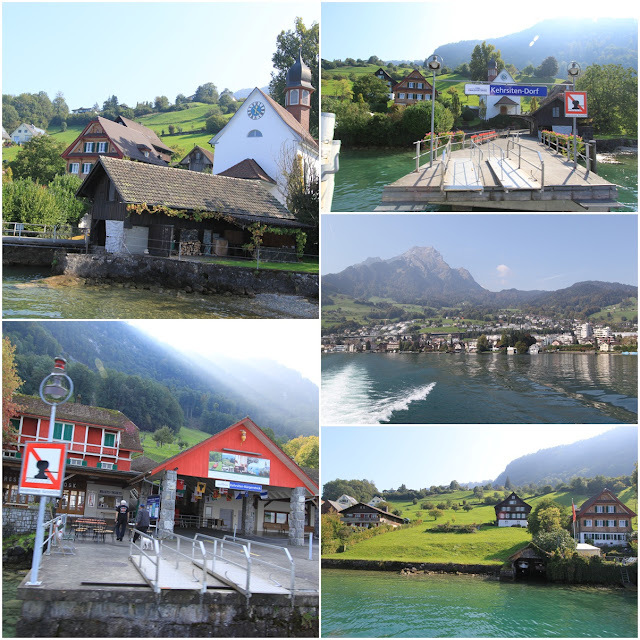 For the locals, it's convenient to cruise by ferry from the dock of a village to another dock of a village besides traveling all the way to Lucerne downtown. 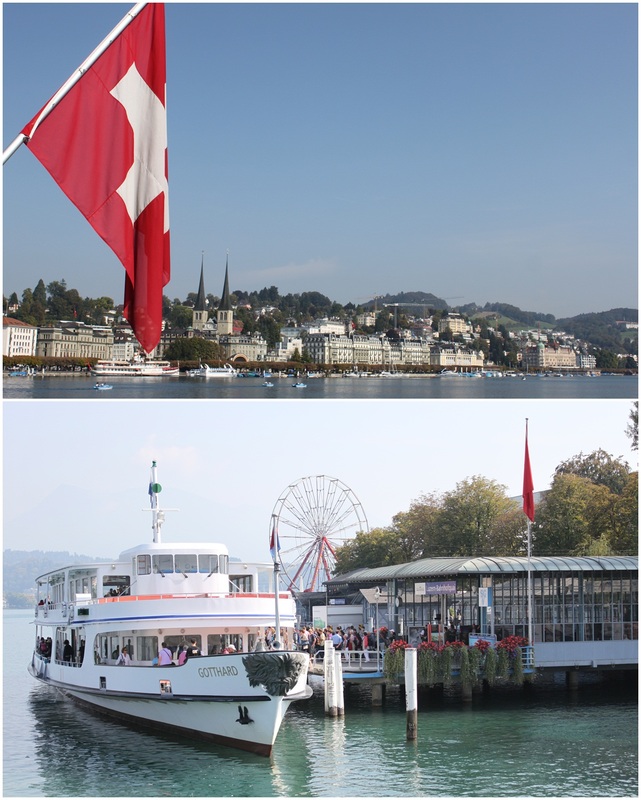 Ferry schedule is available at every dock along Lake Lucerne. Tickets can be purchased upon getting onto the ferry. Don't panic if you don't have sufficient Swiss Franc (CHF) currency. The local retailers and ferry operator accept Euro currency but return your change in Swiss Franc. Language isn't the huge problem to tourists there as well. The Swiss people are very helpful and able to converse in simple English. Cafeteria is available on the ferry but, with limited food menu to choose. You might consider to order some hot coffee in order to increase your body heat while enjoying the breeze with a spectacular view of Lake Lucerne. Wow, the place looks pristine and the pictures you have showed are alluring enough to pull anyone like a magnet. You surely have described quite well about the place your experience out there which adds up to the curiosity even more. Know more here: celebrity travel. I guess, it will helpful to you!